Newly Engaged? Or Searching for your dream venue. 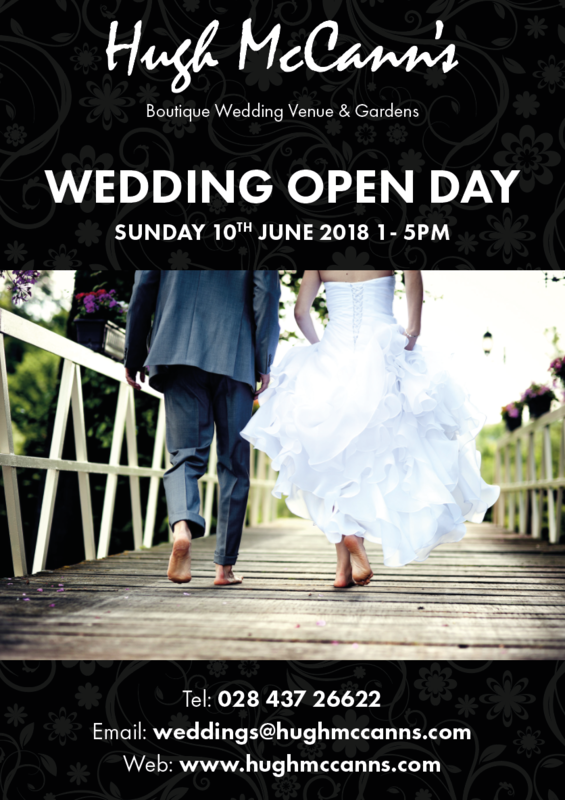 Come and Visit Hugh McCanns on their Wedding Open Day, Sunday the 10th of June 2018. From 1-5pm and meet the team. Hugh McCanns is a truly spectacular setting, with the Mountains of Mourn fully visible from our glorious secret garden to the breathtaking views of Dundrum Bay. From ceremonies, to pre-dinner drinks, from three to five course dining menus, we will guide you along the journey of planning your special day.